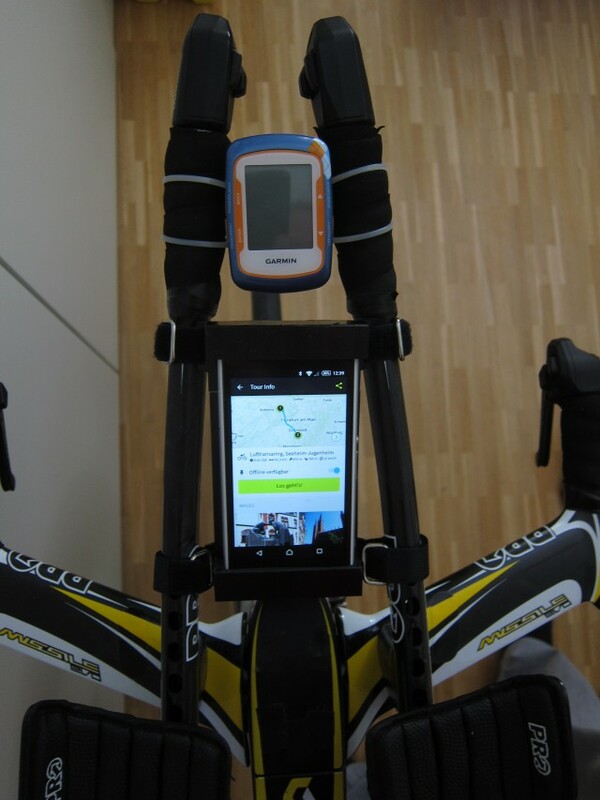 In April 2012, I created a custom made Garmin compatible bike mount for my Sony Xperia Active. In February 2015, I decided to buy a new Phone, a Sony Xperia Z1 Compact. This phone is also waterproof and is ANT+ compatible. Unfortunately, it lacks the exchangeable battery as well as the barometric altimeter which were embedded in the Xperia Active. 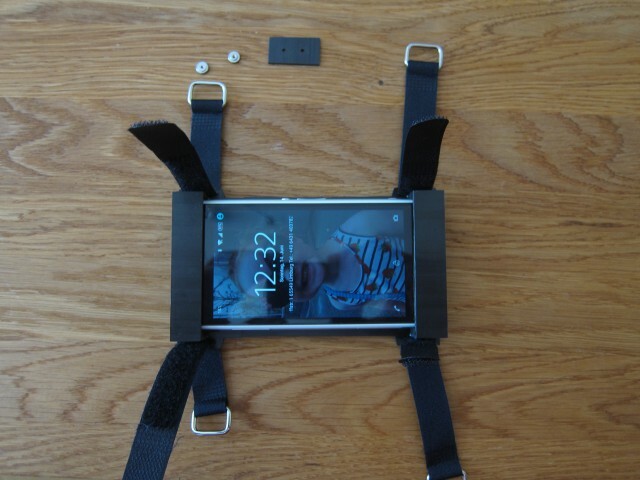 New phone, new bike mount needed. 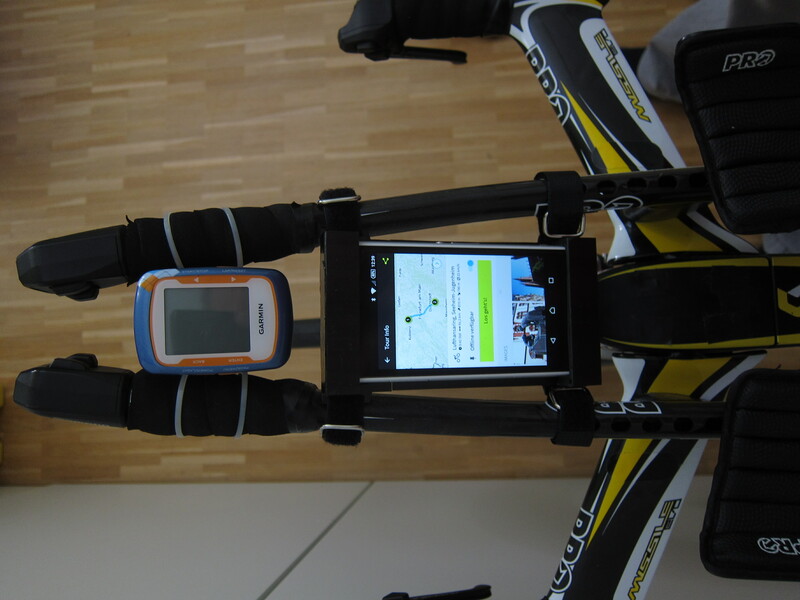 This time with the primary focus to attach the phone to a time trial bar. Once again, the construction started with a carbon fibre plate, 1,9mm thickness, about 8 EUR on ebay including shipping. 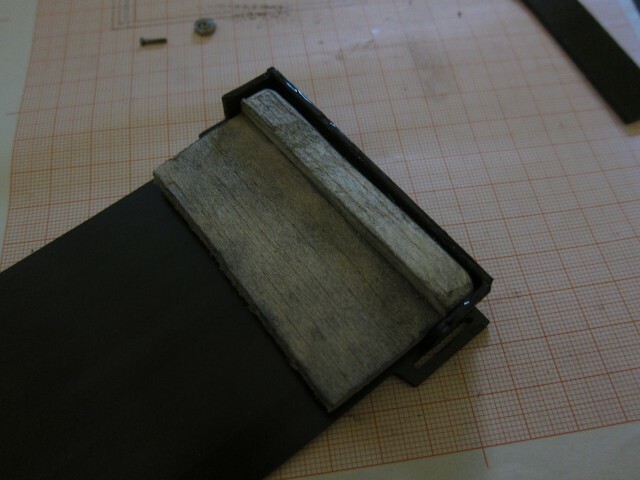 I printed my drawing and glued it onto the plate to have a reference for sawing. 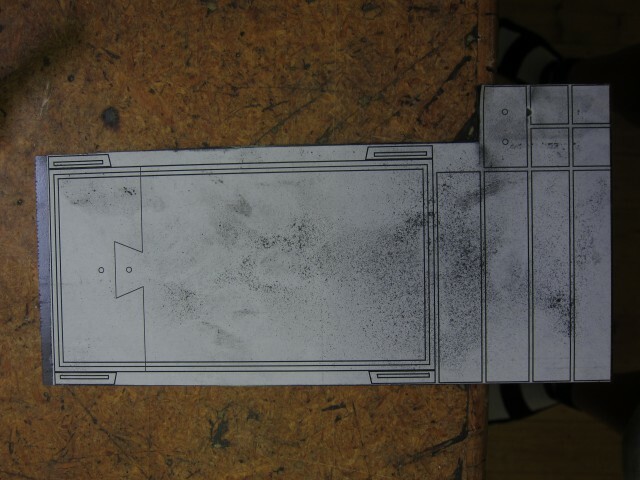 After sawing and “dremeling”, the parts looked like this. 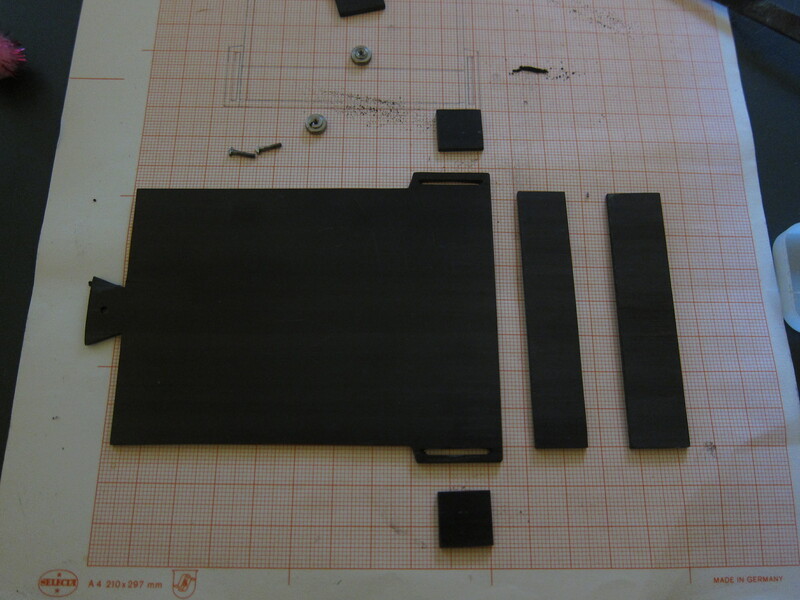 I used two components epoxy glue to bond the parts together. In addition, I made a small wooden tool to support the parts in the right position. 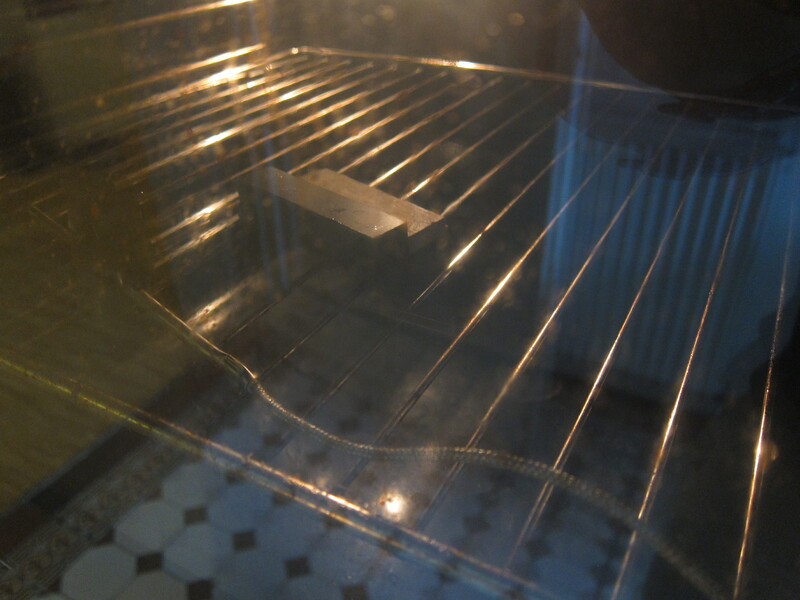 To accelerate the curing process and to increase the strength of the glue, I put the part into the oven at 105°C for 10 minutes. After the curing process, the part looked like this. 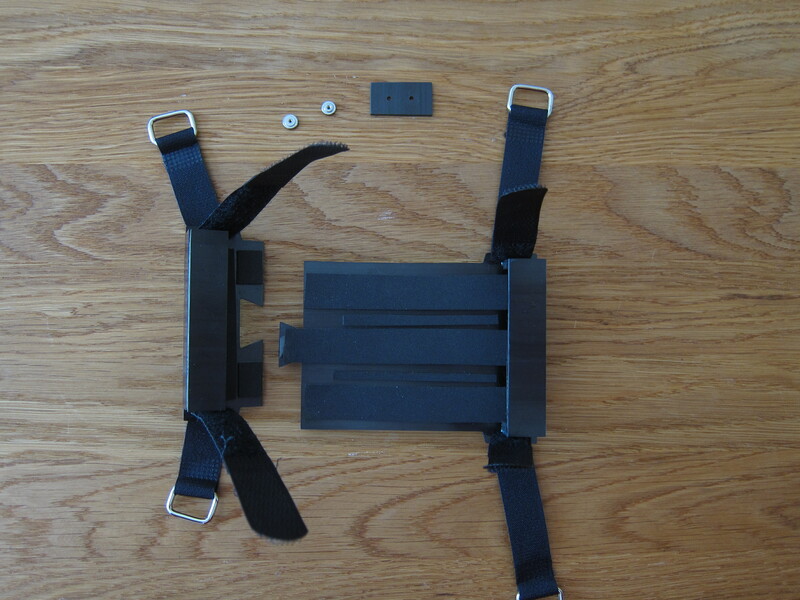 The complete mount consists out of two carbon fibre crates. 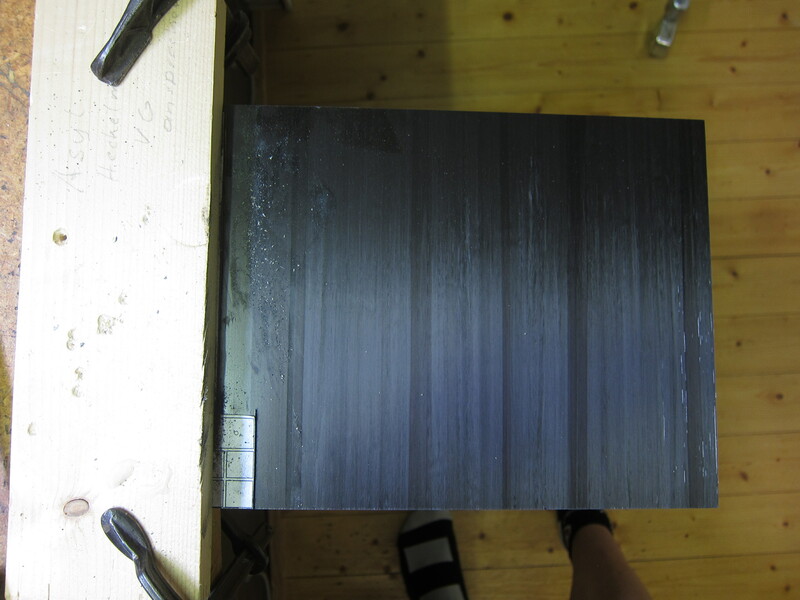 These two crates are fixed by another carbon fibre plate and two small thumb screws. The mount is attached to the bar with four velcro straps. The carbon fibre crates are padded with foam cell rubber. 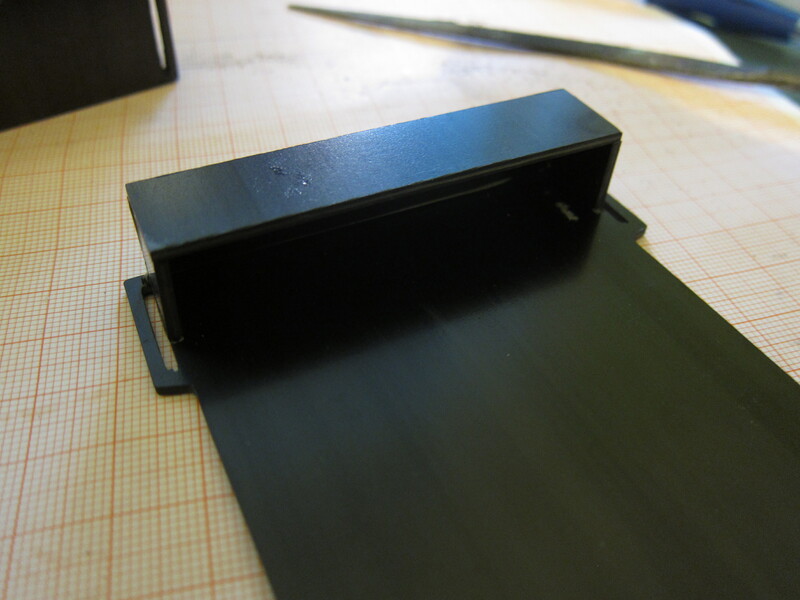 And from the backside with the small carbon fibre plate to fix the two crates. A first ride of 30k was uneventful, the mount held up excellent. I am going to use this mount on a rather long distance tour across Germany in the first week of August. 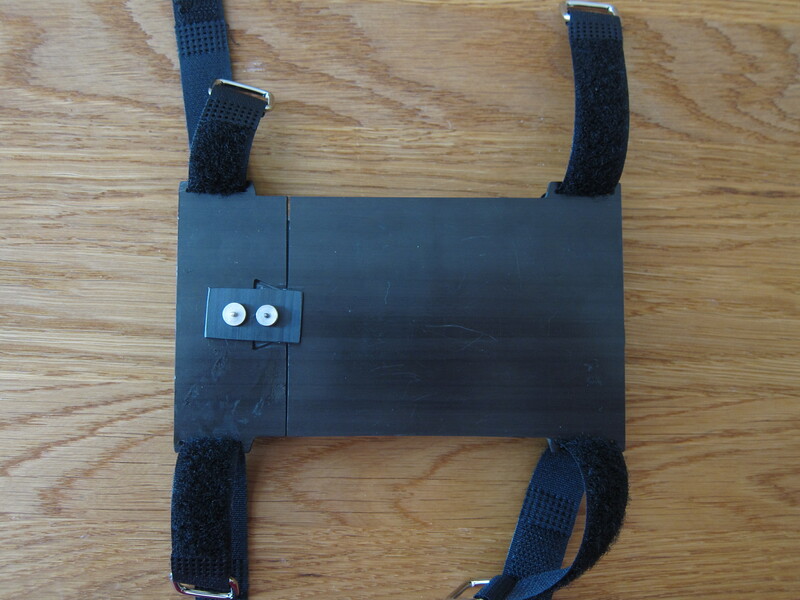 After that, I will add some remarks how the mount held up in practice.